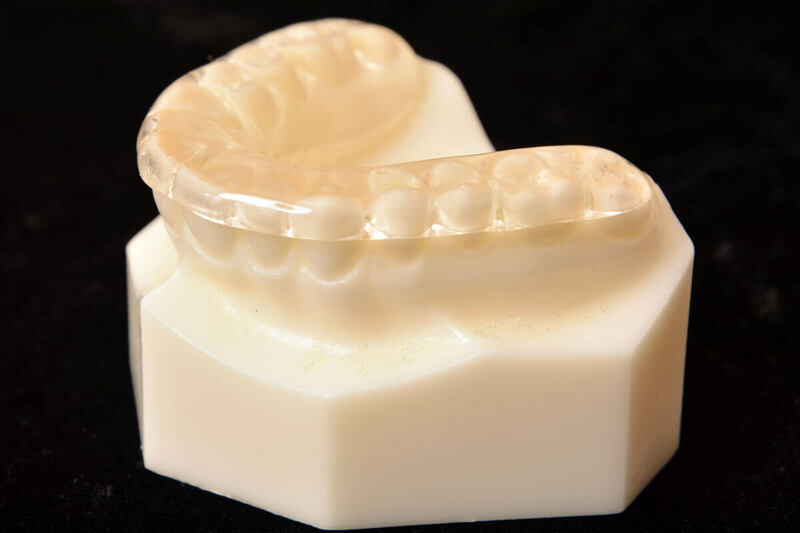 Covers the lingual portion of the mandibular bicuspids and molars with a minimal coverage on the buccal surfaces. Indentations of the lingual cusps of the maxillary bicuspids and molars are standard. The appliance incorporates a stainless steel connecting bar with .028 Ball clasp for retention and is normally constructed with acrylic. Used for treatment of TMJ. The appliance is normally constructed with acrylic. 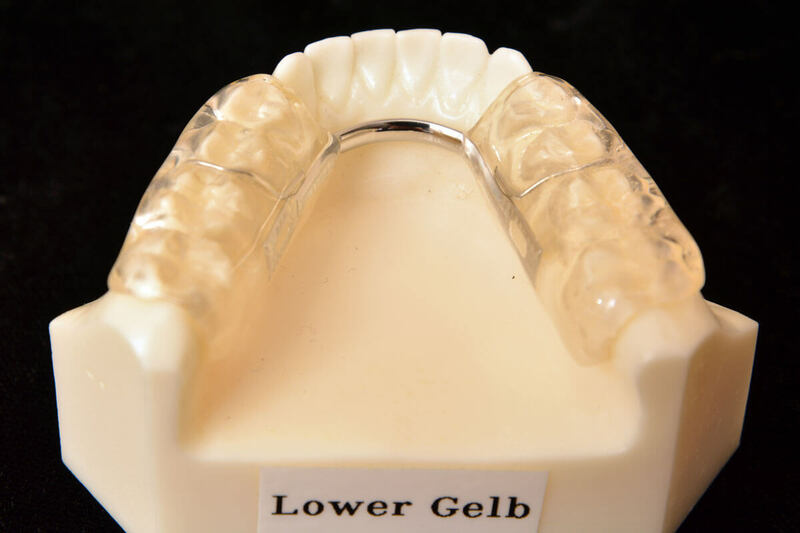 The appliance can be fabricated on either the upper or lower arch. A two or three millimeter dual hardness material is also available.